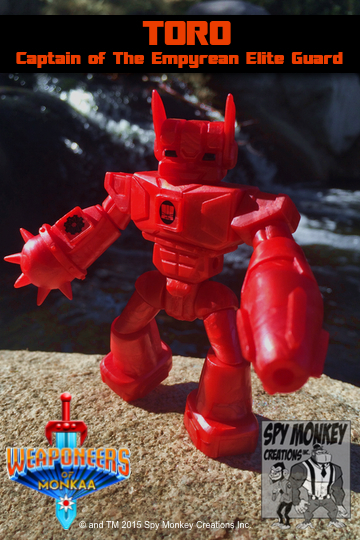 New Spy Monkey Creations Inc new release info will be posted in this thread! 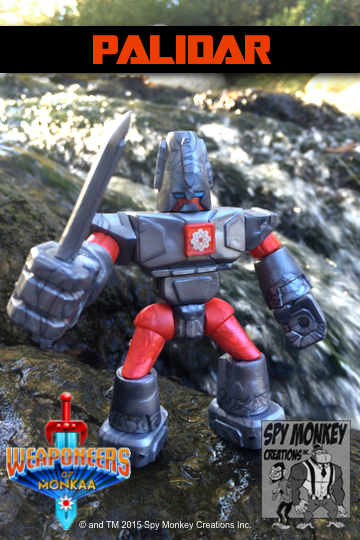 And you can always find us at https://www.facebook.com/Spy-Monkey-Creations-Inc-418399529687 and http://www.spymonkeycreations.com! We've still got some fun left in store for 2015, and even more for 2016! 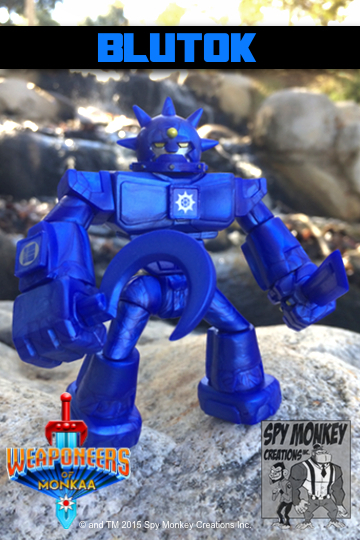 Visit us at http://www.spymonkeycreations.com/ and check out our store at http://spymonkeycreations.ecrater.com/! Shout out for Weaponeers of Monkaa... love 'em, you should too! BTW - head over to their store because they've added some sweet T-shirts and more! Will we ever see any re-releases or new releases of the armory sets? No immediate plans for more armory sets. These will be available to those of you able to make it to Designer Con this weekend. The online drop date is TBD so hopefully once the dust settles we'll get some news next week. 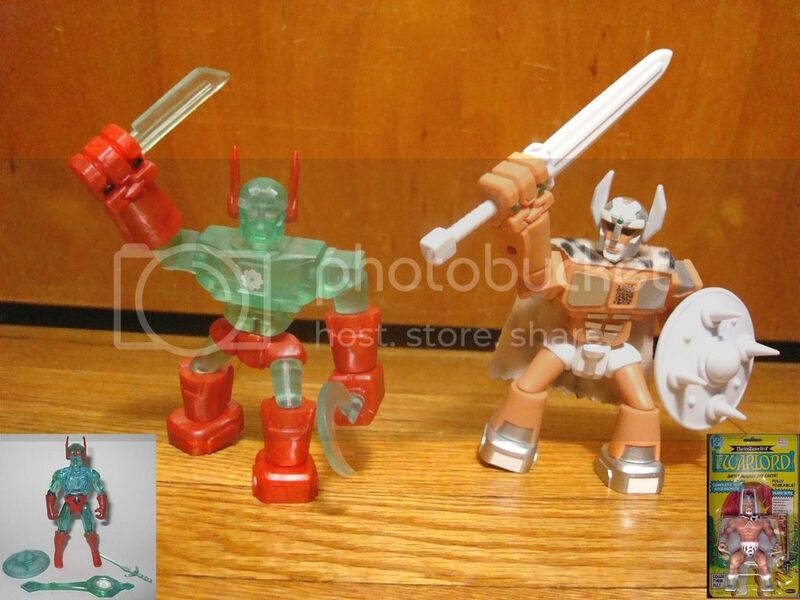 I can't confirm this but the metallic red/silver/blue looks like the same used on their Optimum Gearo figure. Nice to see the classic Empy and Palidar back! These looked fantastic in person this weekend. Great job Once again! Bad News! Im $&@#%€£¥ Broke! Faceless Master wrote: Bad News! Im $&@#%€£¥ Broke! I'm glad to see the circuit tampos return. 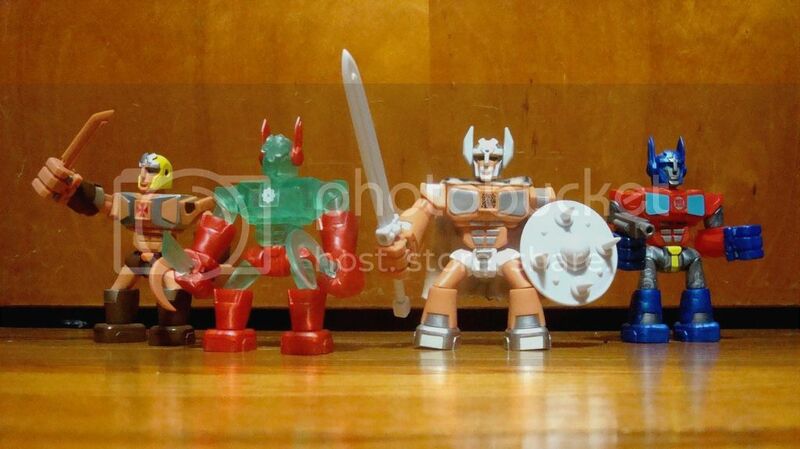 They looked great on the DX BRUTOK NOVUM VERIDIOHM back in the day. Blutok is money! 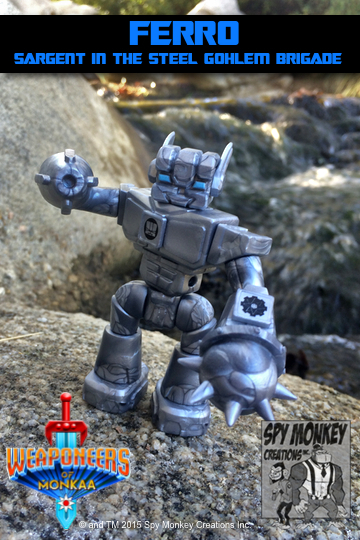 Once you get him in hand, you will wish you purchased 2 or 3 to build with... (or at least that's what I'm thinking!) I will probably be getting a few more of him today. Also, make sure to get at least 1 silver Ferro because mixing the BLUE and SILVER pieces make one awesome combo! I wonder what a Vhorse build would look like with cold steel armory mixed with the silver from this drop. TRIAD wrote: Blutok is money! Once you get him in hand, you will wish you purchased 2 or 3 to build with... (or at least that's what I'm thinking!) I will probably be getting a few more of him today. Also, make sure to get at least 1 silver Ferro because mixing the BLUE and SILVER pieces make one awesome combo! TRIAD, did you get either Optimum Gearo or Vilhainatron? Can you confirm that these new releases use the same metallic red/blue/silver as those? iwao wrote: I wonder what a Vhorse build would look like with cold steel armory mixed with the silver from this drop. That'd definitely be a nice mix. I'll be there. I have been waiting patiently for these reissues! Yes, I can confirm that the BLUES, REDS, SILVERS in all these figures are matching metallic / color-tone as the earlier "transformers" release. Beautiful. TRIAD wrote: Yes, I can confirm that the BLUES, REDS, SILVERS in all these figures are matching metallic / color-tone as the earlier "transformers" release. Beautiful. Thanks, thats awesome to hear. Haven't messed with the TF homage figure's intended builds much but this opens up the option of building them up. 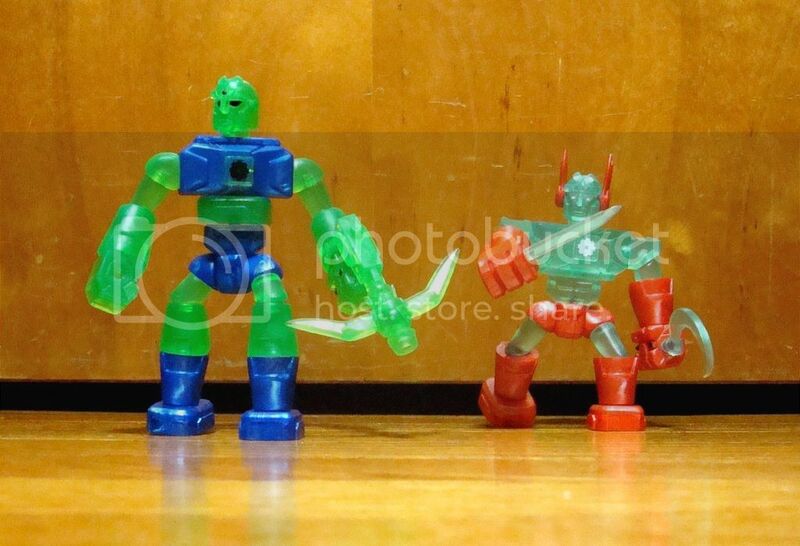 I picked up a Blutok, Toro, and Ferro along with their close quarters sets. I haven't seen the indigo plastic in-person yet, but the pics of blutok look fantastic. I kind of want two blutoks, but Jesse wiped out all my funds. I didn't actually have money for these guys, but I'll find something to sell. Grabbed Empyreus, Palidar (so awesome to finally have these 2 in a very cool v2 original deco), Toro (Elite), Blutok (for my Crystar builds), & a Solid State White pack (for my Original Weaponeer Warlord homage!) Love it & can't wait! Do I go without a few meals this week and grab some more troops? That blu is EPIC! Got my amazing WOM order in today!! Toro quickly finished my long awaited Crystar build, and Blutok is now part of my Warbow (Crystar) build, with that said I can't thank the good guys @ Spymonkey enough for these amazing colors and re-relases, the battle wages on! Looking fwd to potential ver 2.0's of Brutok & Umbreus in 2016 (hint hint)! Look at how cool the Weaponeer is now with his added white armory! 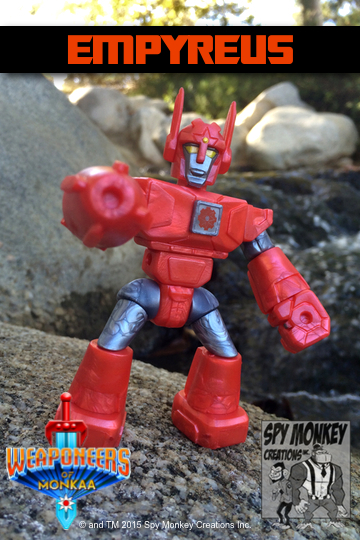 80's nostalgia heroes brought to you by Spy Monkey & built by me ! 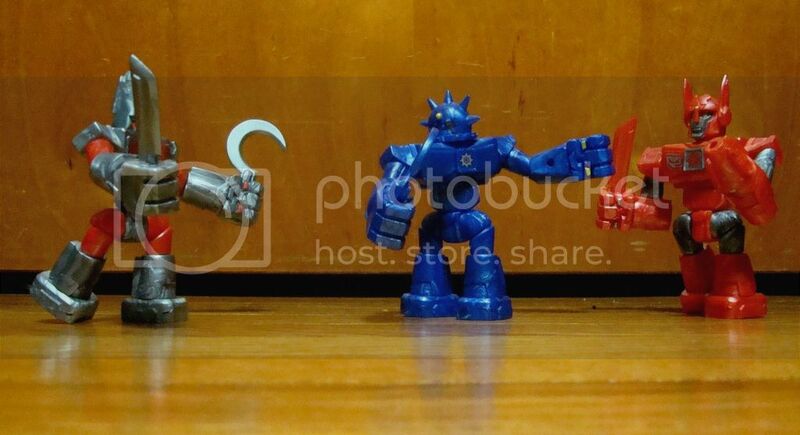 As long as they continue the Weaponeers and the new guys are Glyos compatible then I am on board!